Outbreaks in hospitals across England show the urgent need to step up plans and procedures. Experts at Public Health England (PHE) have launched a toolkit for hospitals to detect, manage and control antibiotic-resistant bacterial infections caused by carbapenemase-producing Enterobacteriaceae (CPE). The use of many different types of antibiotics in hospitals creates evolutionary pressures that encourage the development and spread of antibiotic resistant bacteria. This process is a natural consequence of the use of antibiotics and cannot be stopped, only managed. Enterobacteriaceae are a group of bacteria carried in the gut of all humans and animals, which is perfectly normal. While they are usually harmless they may sometimes spread to other parts of the body such as the urinary tract or into the bloodstream (bacteraemia) where they can cause serious infections. This can occur after an injury or via the use of medical devices such as urinary catheters or intravenous drips where the skin is punctured allowing the bacteria to get into the body. CPE is the name given to some strains of gut bacteria that have developed the ability to destroy an important group of antibiotics called carbapenems, making them resistant to these drugs. Carbapenems are considered to be antibiotics of ‘last resort’ and doctors rely on them to treat certain difficult infections when other antibiotics would or have failed. Infections caused by CPE can usually still be treated with antibiotics. However, treatment is more difficult and may require a combination of drugs or the use of older antibiotics to be effective. Since 2003, there has been a sustained increase in the numbers of CPE being identified from carriers and as causes of infections within the hospital setting. Identification of CPE in England by the PHE national reference laboratory has risen from fewer than 5 patients reported in 2006 to over 600 in 2013. These figures include patients with infections and also those where they have tested positive for the presence of the bacteria in the gut. In England, approximately two thirds of trusts have had between 1 and 20 patients identified with CPE carriage or infection over the past 5 years, including 2 Trusts in Manchester that have had more than 100 patients identified with CPE during the same period. In November 2013, PHE established a national incident management team to work to prevent and control spread of this resistant bacteria. The aim of the expert group is to provide ongoing guidance and support to local experts, not only in areas where trusts are affected but across the healthcare system. 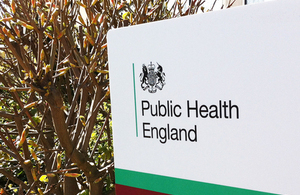 To encourage implementation of the toolkit, PHE has, together with NHS England, written to every acute Trust chief executive officer in England asking for their essential support and action to address the risk posed to trusts and other healthcare organisations by CPE and other carbapenem-resistant organisms. PHE and NHS England have also issued a Patient Safety Alert which recommends trusts urgently identify if there are, or have been, cases of CPE in their organisation and to instigate the development of a CPE management plan at Board level. Antibiotic resistance poses a real threat to our ability to treat diseases. Although there has been an increase in this strain of bacteria, the new toolkit will ensure that hospitals are well placed to detect, manage and control any cases. Systems of monitoring for resistant bacteria are essential in safeguarding the effect of our antibiotics. In order to minimise the wide spread of these multi-drug resistant infections across England it is essential that all trusts are aware of this toolkit and that they develop plans for detecting and managing patients with infections caused by CPE and other antibiotic resistant bacteria. These infections are already causing national concern due to the observed increasing trends in the number of infections, outbreaks and clusters across England. We now have a window of opportunity, if we act quickly and decisively, to address this very real public health treat and prevent widespread problems by minimising the negative impact of these organisms. As these bacteria can spread through faecal contamination it’s very important that everyone in the hospital setting including healthcare staff, patients and visitors practise good hand hygiene to stop CPE and other infections spreading to other vulnerable people. Addressing the infection risk from carbapenemase-producing Enterobacteriaceae and other carbapenem-resistant organisms - letter to acute Trust chief executives. NHS England Patient Safety Alert. Some of the data that PHE records are from colonisations in the gut where the patient has no infection or any symptoms. Variations in testing practice between hospitals can give rise to spurious variations in the apparent number of colonisations or infections. In its toolkit, PHE has provided guidance on which patients to screen. The reporting of carbapenemase-producing Enterobacteriaceae is not mandatory and isolates are therefore sent for confirmation to the PHE Antimicrobial Resistance and Healthcare Associated Infections (AMRHAI) Reference Unit on a voluntary basis. There is currently no systematic surveillance of carbapenemase-producing Enterobacteriaceae (or other carbapenem-resistant organisms) in England. The emergence of these bacteria is not confined to the UK. There are a number of countries, including in Europe, which have experienced high numbers of cases and outbreaks in healthcare facilities, including Israel, Italy and Greece. A previous enhanced surveillance programme in England determined that a high proportion of cases with a specific type of CPE originated in the Indian subcontinent.